This is the only product that soothes my itchy eyes (have tried so many in the past), but this product seems to be discontinued as far as I can tell, was pleased to find some still available at Lentiamo. 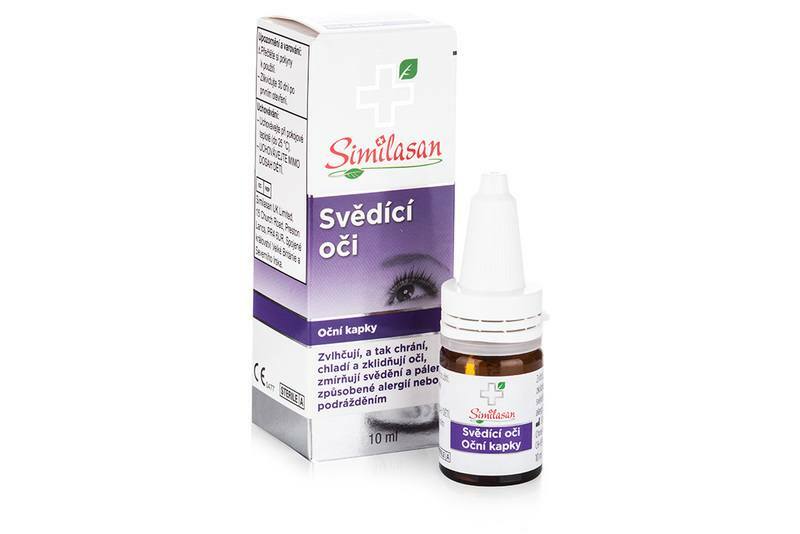 The language on the product is Czech I think and there is no English translation on the box or leaflet but it is the same product I used to be able to buy easily and is called Itchy Eyes. Similasan Itchy Eye Relief sterile eye drops provide fast and gentle relief for eyes irritated by allergic reactions. Thanks to their optimized pH, similar to natural tears and a combination of healing effects of eyebright and feathershank, they soothe puffiness, itchiness, burning and water discharge. Similasan Itchy Eye Relief moisturize, protect, cool and soothe the eyes. They reduce itchiness, burning, puffiness, pink eye and irritation caused by pollen (hay fever), animals, mites, mould, cosmetics, perfumes, ozone or other external causes. Apply 1–2 drops in each eye one or more times per day as needed. Use within 30 days of opening.